Bernard was released from detention and is currently awaiting a decision on his case from the Home Office. Bernard was once again detained and the UKBA has set a removal date for Monday 16th July. URGENT: Help stop the deportation (tomorrow Monday) of Bernad Mboueyeu. You can fax/phone/Email, Jean-Cyril Spinetta , CEO, Air France and urge him not to carry out the forced removal of Bernard Mboueyeu – on Air France flight AF900 from Paris Charles de Gaulle, to Yaounde, Cameroon on Monday 16th July 2012 @ 13:50 hrs. Bernard Mboueyeu fled the Cameroon in 2007 when he was pursued by the authorities for supporting a political group opposed to the brutal ruling regime. Bernard came to the UK in 2007 and married Sheffield woman, Sharon, a charity worker, in 2010. Sharon and Bernard have set up home in Wincobank and Bernard plays an active role in the local community, supporting local charities. 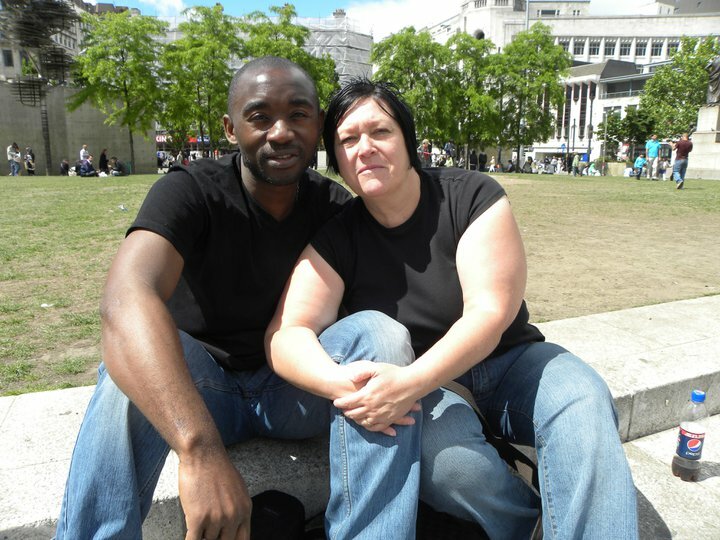 Despite their marriage, the Home Office have demanded Bernard return to Cameroon to apply for a spouse’s visa. Bernard has offered to return if his safety is guaranteed but the Home Office have refused to make that guarantee. If Bernard returns to Cameroon he could be detained, face torture, or locked up indefinitely and may never return to his wife Sharon in Sheffield. Amnesty International’s 2011 Report noted that the Cameroon regime “continued to restrict the activities of political opponents and journalists” and that “detention conditions remained harsh and often life-threatening”. Please download the petition here. Copyright 2010 Committee to Defend Asylum Seekers.